Hunterdon County will celebrate its 300th birthday on Thursday, August 7, 2014 with a concert and fireworks, from 7:00 pm – 9:00 pm. This celebration was originally scheduled for July the 3rd, but the fireworks had to be cancelled because of stormy weather. The concert will feature the 18-piece Vince Pettinelli Orchestra popular with area residents and known for playing a wide selection of musical styles and eras. The celebration will take place in the Deer Path Park, located at 120 West Woodschurch Road in Flemington. To make getting to and from the park easier, LINK shuttle buses have been organized to run between the park and various locations in Flemington. Everyone is invited to bring blankets, chairs, picnic dinners, friends and family to the celebration. There will also be a concession stand run by local food vendor, Pudgy’s Street Food. Alcoholic beverages are not allowed at this event. For updates check http://www.hunterdon300th.org/ or call (908)782-1158 after 3:00 p.m. The concert will come to a grand climax with a spectacular fireworks display sponsored by the Hunterdon Tricentennial Committee and the Flemington Raritan Parks and Recreation Committee. Categories: Concert, Family Travel, Free Admission, New Jersey | Tags: Central Jersey Events, Classical, Community Event, Concerts, Deer Path Park, Deer Path Park Fireworks, Family Events, Featured Events, Flemington, Flemington Raritan Parks, Free Events, Free Family Events, Holidays, Hunterdon County, Hunterdon County 300th Birthday, July 4th, New Jersey Fireworks, Pop, Summer Fireworks, Vince Pettinelli Orchestra | Permalink. 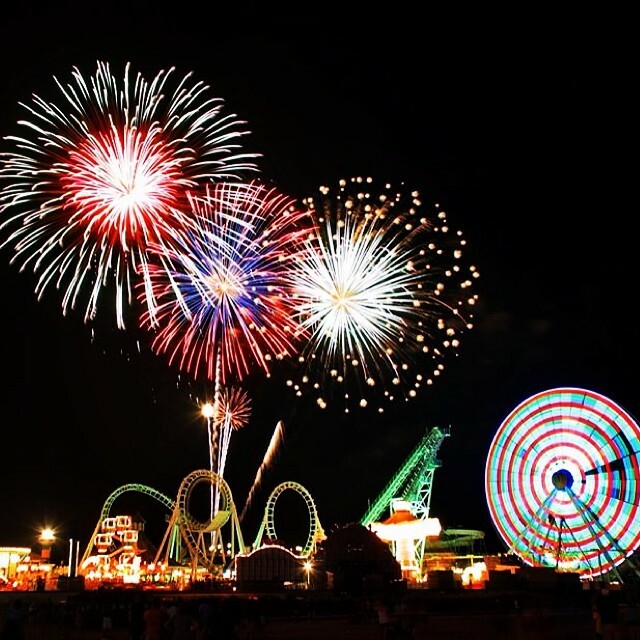 Morey’s Piers Beachfront Water Parks fabulous Independence Day Fireworks will start Saturday, July 5, 2014 at 10:00 p.m. Categories: New Jersey | Tags: Family Travel, Kids, Mid Atlantic Region, Mid Atlantic States, Mid Atlantic Travel, Morey's Piers & Beachfront Water Parks Fireworks, New Jersey, New Jersey Fireworks, New Jersey Shore | Permalink. Rain and High Wind from Hurricane Arthur cancelled fireworks for Friday July 4th. Fireworks have been moved to Sunday July 6th at 9:30 p.m. 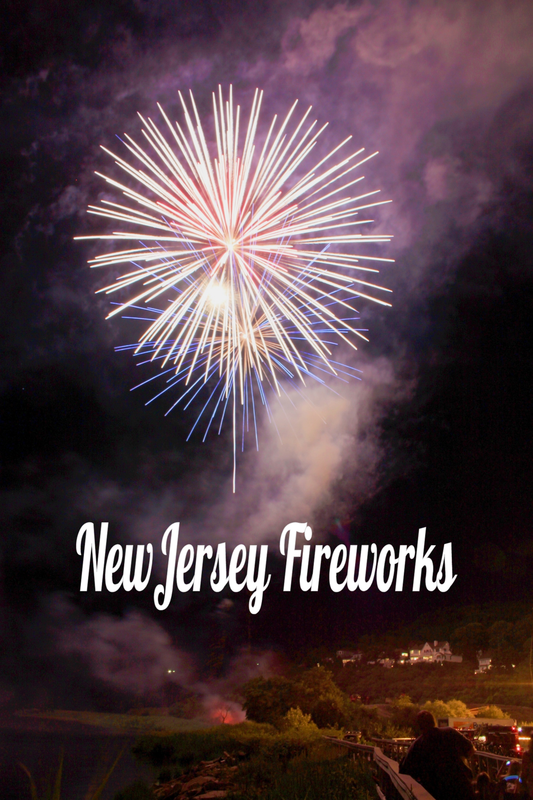 Categories: New Jersey | Tags: Family Travel, Kids, Mid Atlantic Region, Mid Atlantic States, Mid Atlantic Travel, New Jersey, New Jersey Fireworks, New Jersey Fireworks Postponed, Seaside Heights 4th of July, Seaside Heights Fireworks Postponed | Permalink. Many of the fireworks displays along the Jersey Shore have been postponed. Asbury Park, Toms River, Beachwood, have all announced this. Beachwood and Asbury Park have postponed their display until Saturday night. Make sure you check before heading out. Categories: Free Admission, New Jersey | Tags: 4th of July Fireworks Postponed, Asbury Park Fireworks Postponed, Beachwood Fireworks Postponed, New Jersey Fireworks, New Jersey Fireworks Postponed, Tom's River Fireworks Postponed | Permalink. The Asbury Park Waterfront Fireworks, which were scheduled for this evening, are postponed due to weather/tide conditions. The rain date is set for tomorrow, SATURDAY July 5th at dusk at the Asbury Park Boardwalk. Great shops and restaurants are open today. Categories: Free Admission, New Jersey | Tags: 4th of July Fireworks Postponed, Asbury Park Fireworks Postponed, Family Travel, Fireworks, Kids, Mid Atlantic Region, Mid Atlantic States, Mid Atlantic Travel, New Jersey, New Jersey Fireworks, New Jersey Fireworks Postponed, New Jersey Shore | Permalink. 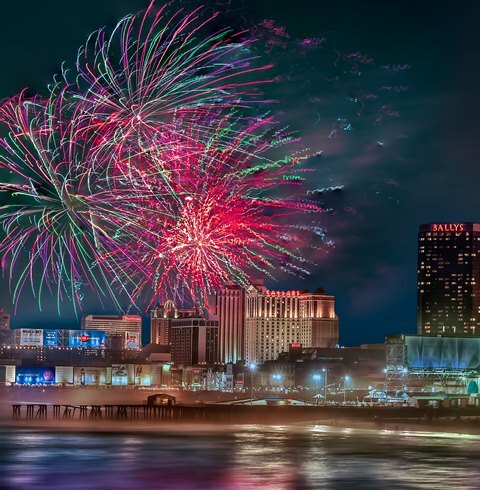 Atlantic City’s FREE 4th of July Fireworks Spectacular Moved to Sunday, July 6th at 9:30 p.m.
Mayor Guardian announced that the free 4th of July Fireworks Spectacular show scheduled for this Friday in Atlantic City will be moved to Sunday, July 6th at 9:30pm. Mayor Guardian said, “While Hurricane Arthur is predicted to be far off shore Friday night, the effects on the ocean waves and the accompanying wind would hinder our fireworks show from reaching its full potential that night, and possibly create a safety hazard. So we decided to move our fireworks show back to Sunday, July 6th at 9:30pm. In addition, we wanted to give residents and tourists an opportunity to end their 4th of July holiday weekend with a ‘bang’. We figured having the biggest fireworks show on the Jersey Shore on a Sunday night would be a perfect way to end the weekend. Categories: Adventure Travel, Free Admission, New Jersey | Tags: Atlantic City Fireworks, Family Travel, Fireworks, Kids, Mid Atlantic Region, Mid Atlantic States, Mid Atlantic Travel, New Jersey Fireworks | Permalink.